Remove the control solenoid valve and transmission control module assembly. Refer to Control Solenoid Valve and Transmission Control Module Assembly Replacement. Remove the input speed sensor bolt (2) M6 x 23. Unlock the 2 retaining tabs inside the transmission housing. Remove the input speed sensor (3). Remove the 3 input speed sensor seals (1). Install the 3 input speed sensor seals (1). Install the input speed sensor (3). Verify that the retaining tabs are locked completely. Install the control solenoid valve and transmission control module assembly. 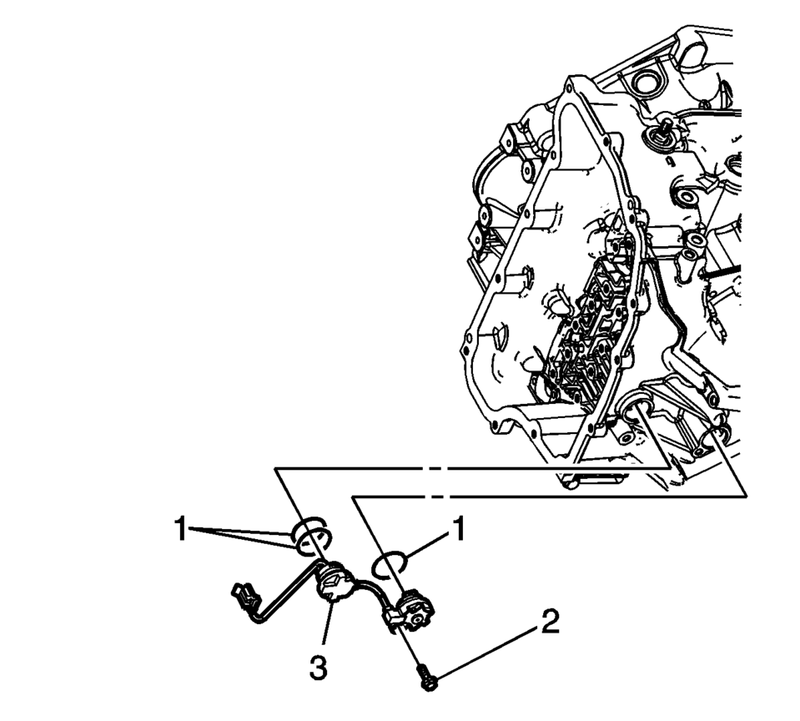 Refer to Control Solenoid Valve and Transmission Control Module Assembly Replacement.